Hon. 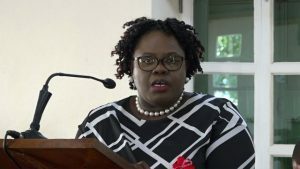 Hazel Brandy-Williams Junior Minister of Health in the Nevis Island Administration delivers the following address as Nevis joins the rest of the region in observance of Vaccination Week 2019, from April 20th to 27th. 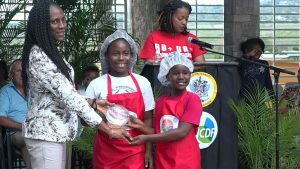 A Ministry of Health official says the first MyHealthyPlate Junior Chef Competition was successful and she is urging the competitors to encourage their classmates to eat healthy moving forward. Hon. 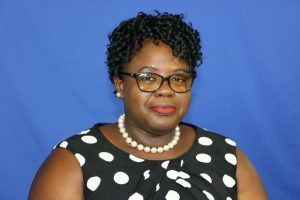 Hazel Brandy-Williams, Junior Minister of Health on Nevis is calling on all sexually active women and girls to take advantage of the free annual pap smear clinic offered by the ministry. 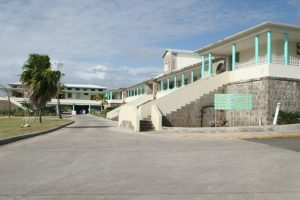 This year it will be held on the island’s six health centres on Saturday, January 26, 2019 from 8 a.m. to 11 a.m. 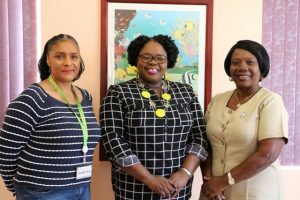 In its bid to continue strengthening the human resource capacity to improve health care at the Alexandra Hospital on Nevis, the Nevis Island Administration (NIA) through the Ministry of Health, added the services of qualified personnel to the existing staff at the facility in 2018. Members of the public utilising services at the Alexandra Hospital are urged to pay their bills in a timely manner especially as the Ministry of Health has devised systems already in place to assist.